For everyone else on your list, make sure to check out all our other gift guides for fans of Game of Thrones, Harry Potter, Star Wars, Stephen King, The Walking Dead and more. 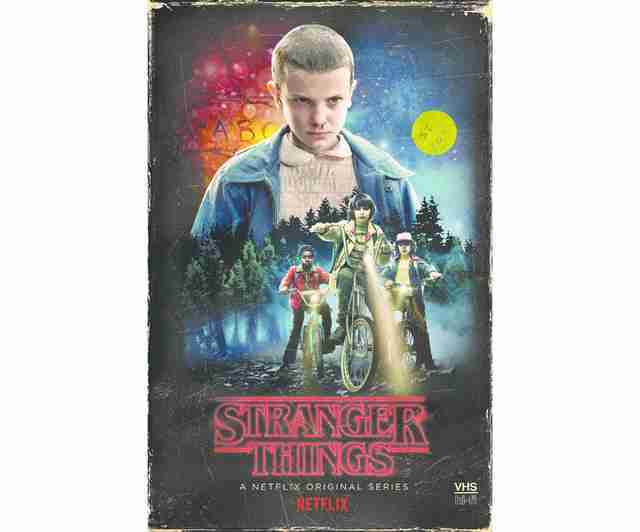 On the 12th day of Christmas, a die-hard Stranger Things fan gave to me: 12 Demogorgons demogorging, 11 psychics psychicing, 10 Barbs a-screaming, nine Hawkins lab goons, eight Darts a-slobbering, seven wide-eyed Joyces, six nail bats a-swinging, five golden Eggos, four bike-riding D&D players, three hormonal teenagers, two government conspiracies, and a shadow monster in an Upside Down tree. They weren't very good gifts, to be honest. 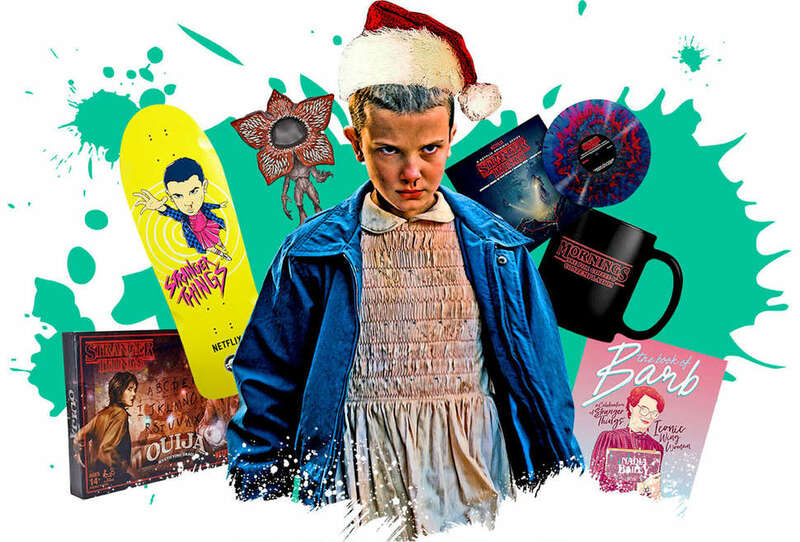 If you're looking for some serious Stranger Things paraphernalia for your binge-watching best friend this holiday season, look no further than our expertly curated list of... things. They're not that strange. More like perfect. Perfect things. 'Tis the season for merriment and communicating with your telepathic son stuck in a parallel universe. 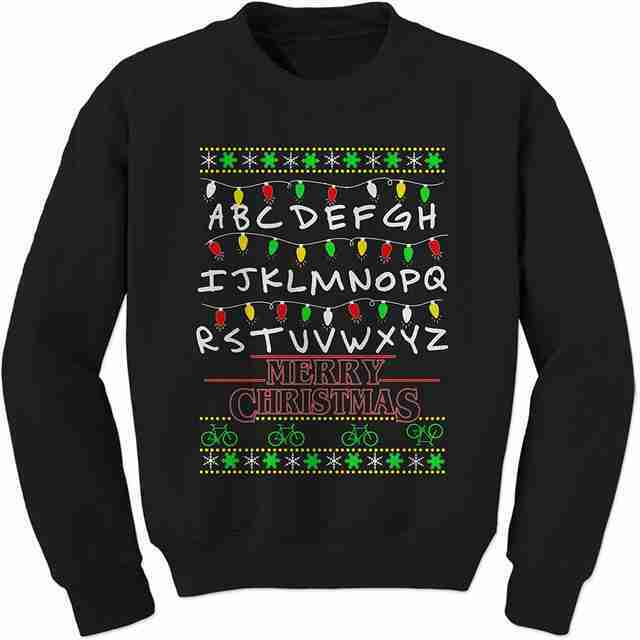 There's no better way to spread Stranger Things-themed holiday cheer than wearing a goofy sweatshirt emblazoned with the show's creepy channel of communication. 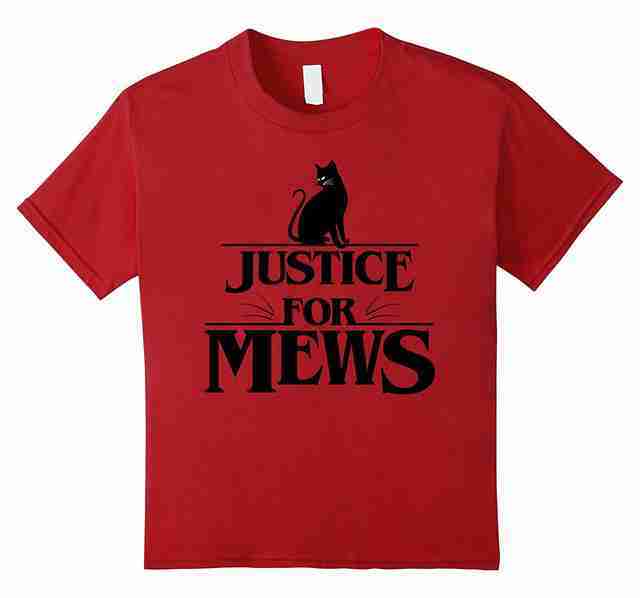 No one got a shorter stick in Stranger Things 2 than Mews, the orange tabby owned by Dustin's mom, Claudia Henderson. All cat lovers shook their head in dismay when Dustin brought Dart, the demogorgon slug, into the Henderson home without thinking twice about the implications. LOOK WHAT YOU'VE DONE, DUSTIN. LOOK WHAT YOU'VE DONE. This T-shirt almost makes it better. On a cool December night, when you're bicycle-bound and searching for your best friend, you're going to want an extra layer to keep warm. If it has a hood, even better -- it'll be harder for government goons to spot you at night. May we recommend this sleek number? 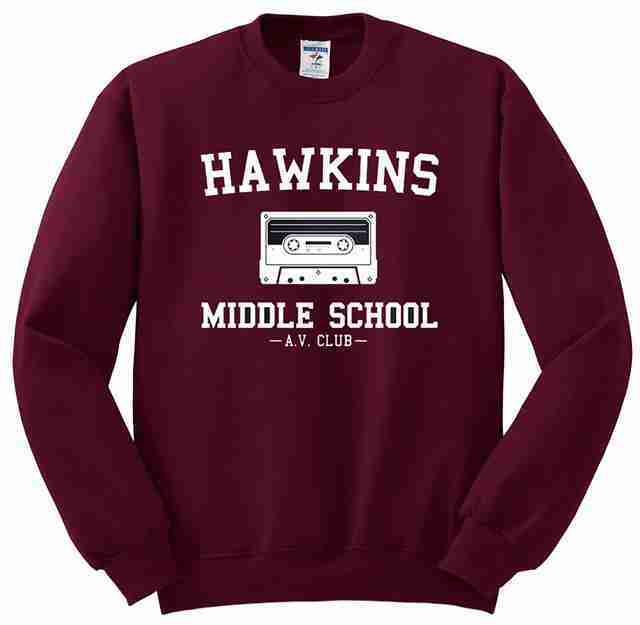 This snug, Stranger Things sweatshirt may garner weird looks from friends that aren't in on the joke -- what middle schooler did you beat up and steal from? -- but the recipient of this gift will know the truth, and that's what matters. 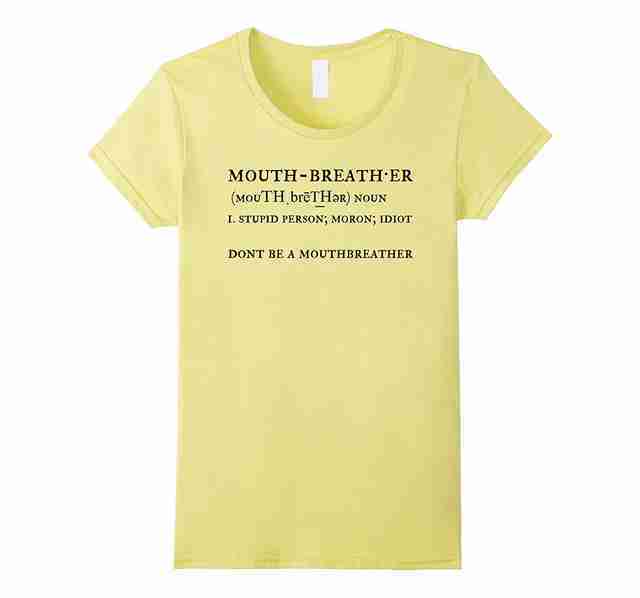 The go-to insult of gangly 12-year-olds now comes in wearable form. Bullies, beware! Grandmas... forgive. Stranger Things 2 didn't reveal much about the origins of the Upside Down or the biological wonders that allow for Demogorgons to take shape, but we know one thing for sure: their growling, four-leafed snouts are a welcome part of any mantle or desk. 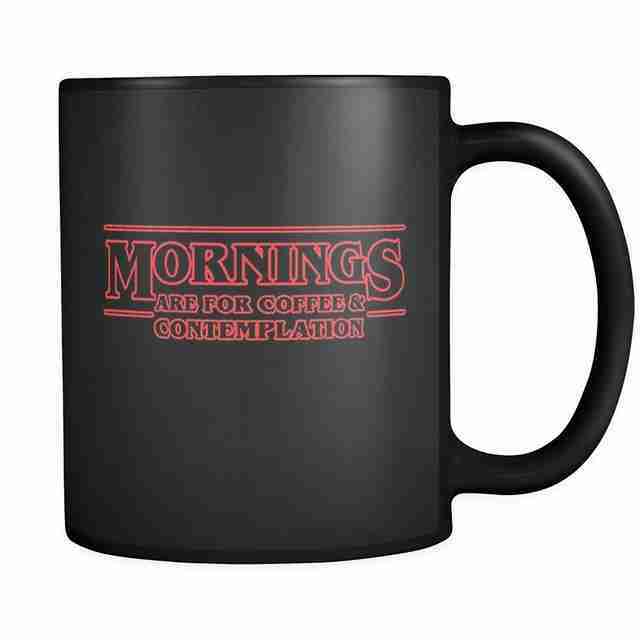 Just because Season 1 Jim Hopper is an alcoholic, verbally abusive police chief suppressing a wave of crippling grief brought on by the death of his daughter doesn't mean his wisdom isn't worth mug real estate. Blow off your coworkers with this instantly quotable line from the premiere. Kyle Dixon and Michael Stein, two members of the electronic band S U R V I V E, nodded to the ethereal, synth sounds of greats like John Carpenter and Tangerine Dream with their soundtrack to Stranger Things. 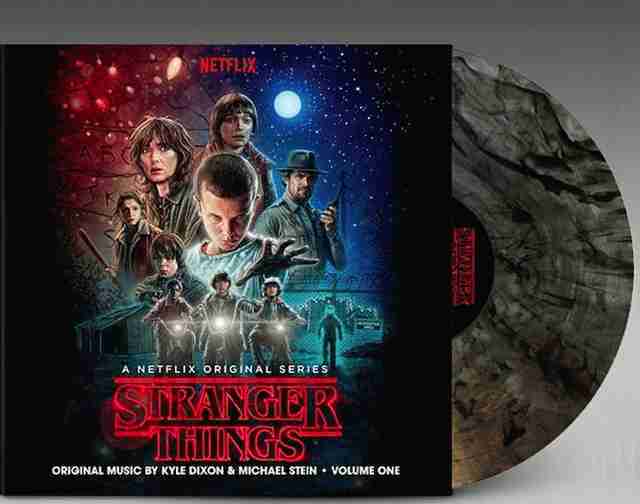 To keep on throwback trend, Lakeshore published the spooky music on a vinyl, a medium the kids from Stranger Things weren't even that familiar with! 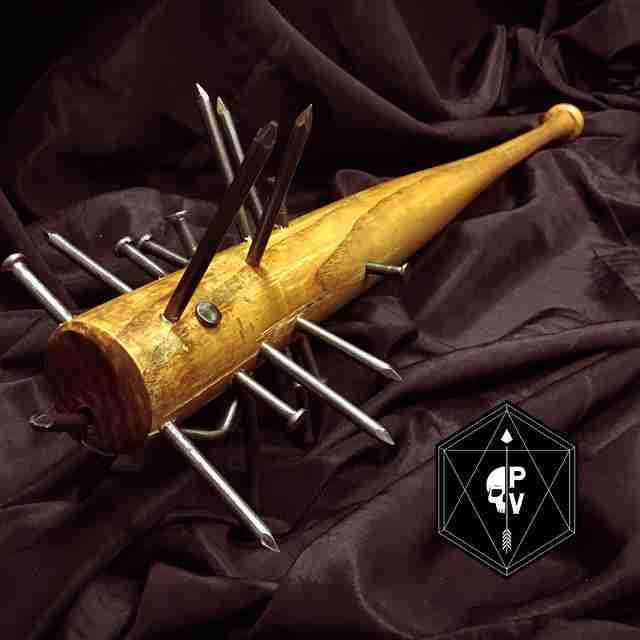 You can do whatever you want with this ace replica of Steve's Demo-killin' weapon but we recommend admiring it, perhaps from a distance. If you simply must use it for its intended purpose swing safely. 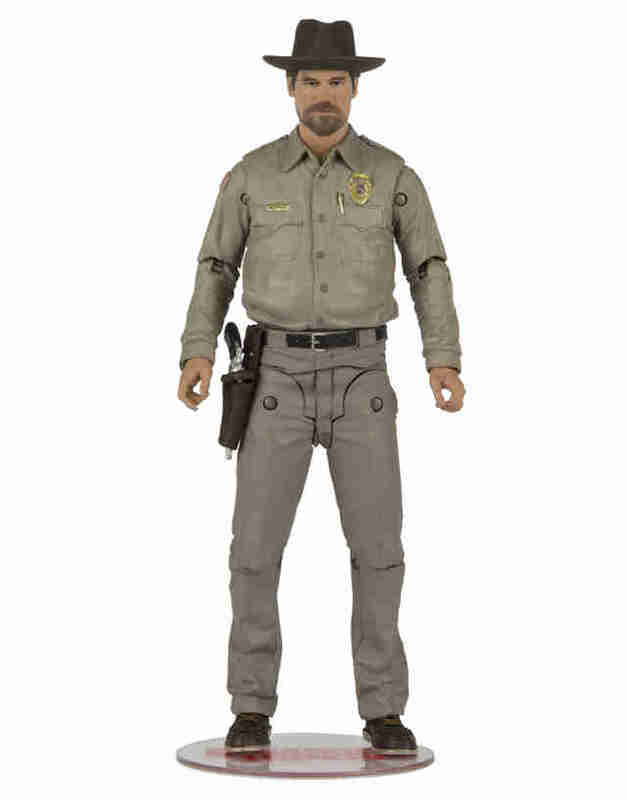 Fact: there are not enough dadbod figurines to be played with by kids with reasonable expectations about life or mounted as ornament on desks by well-meaning geeks. Todd MacFarlane, the mastermind behind Spawn and a treasure chest of sculpted toys, has fixed that problem. Would you ever buy a Netflix show on DVD? Netflix found the right hook. For VHS nostalgists -- and if you doubt their existence, check out the wealth of fake, VHS movie trailers and a documentary on people who won't let go of the home video format -- comes this perfectly rendered set. 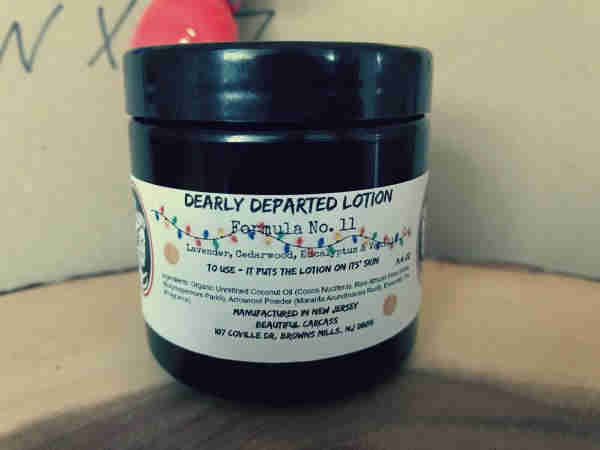 With a blend of lavender, cedarwood, eucalyptus and vanilla, this Stranger Things-themed lotion promises to "make you feel like you've been wandering around in the woods in search of delicious Eggos." No psychic energy required for this simple, soothing remedy. 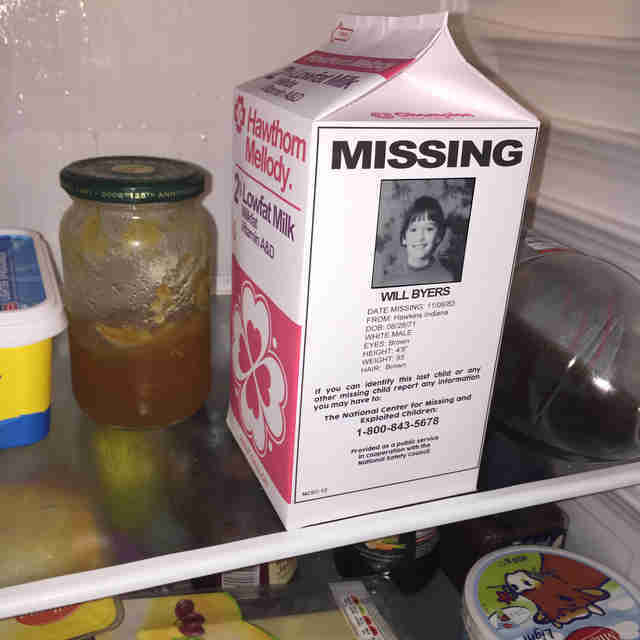 This unique gift supplies you with the assets you need to turn any carton of milk into a Stranger Things prop. If you don't love pranking people on Christmas, you can hold on to it for April Fools' Day. 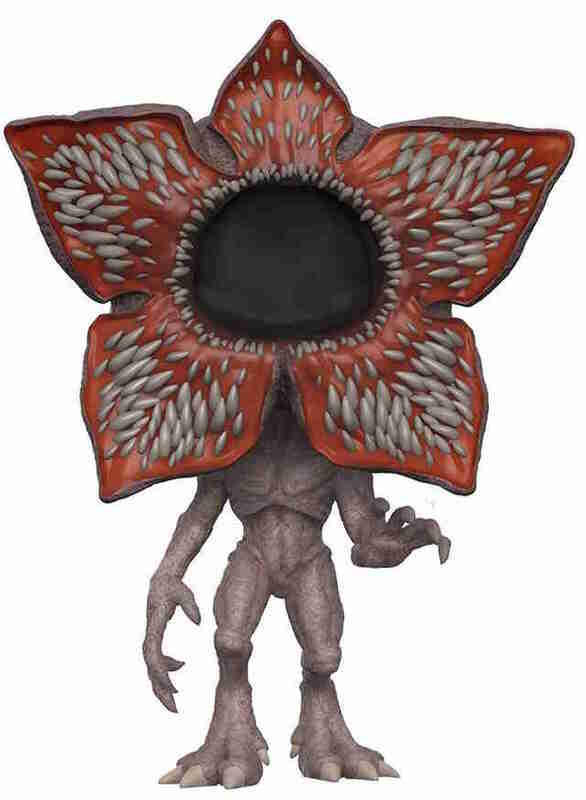 Whether the Duffer brothers understood their creation or it was a sly plan to served an undervalued swath of the population, Barb, the redheaded victim of the Demogorgon, spoke to people. 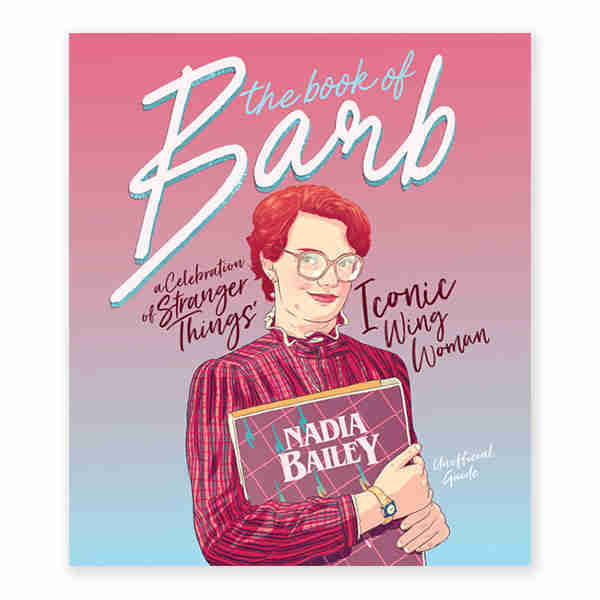 The Book of Barb extends the positive inclusive vibes with tips on mixtape recommendations, makeup advice, quizzes, and quotes that do better justice to Barb than even Stranger Things 2. 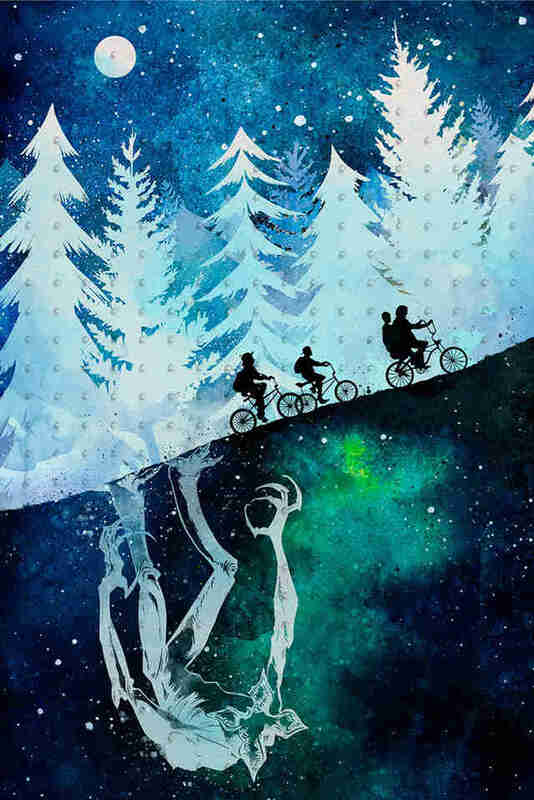 Stranger Things is based on a true story. Yes, really. The mind-bending, time-traveling exploits of Preston Nichols, one of the victims of the government's top-secret psychic experimentations dubbed the Montauk Project, are a fascinating parallel to the events of Stranger Things. If you want the scoop, read Nichols' first book. Even if it's science-fiction, it's wild. From the people who brought us Game of Scones and The Walking Bread comes another pun-filled cookbook with recipes worthy of your next viewing party. You don't have to be possessed by the Mind Flayer to want a bite of Demogorgon-zola tartlets. 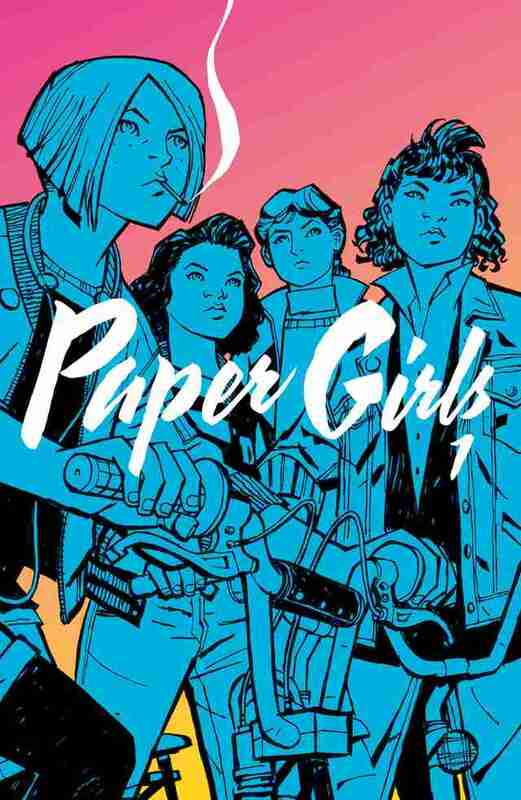 From Brian Vaughan, writer of heralded comics like Y: The Last Man, Runaways, and Saga, comes this '80s-set story about four newspaper-delivering girl friends who uncover a monstrous, sci-fi-friendly conspiracy in their own town. We don't need to explain why you need to spend the off-season with these colorful, imaginative comic collections. If you found yourself shouting "WHAT THE HELL WAS THAT" at the end of Stranger Things 2's divisive, seventh episode, we'll suggest checking out Penelope Spheeris' classic music documentary trilogy, focusing on the lives of punk and heavy metal musicians, primarly in the 1980s. Stranger Things sticks to the surface of the scene Chicago scene, while these documentaries pour over every detail. 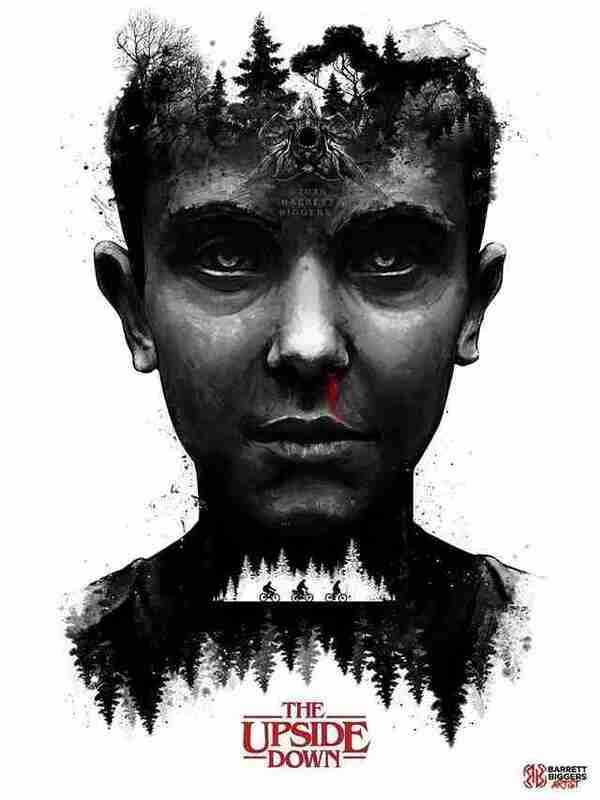 Illustrator Barrett Biggers' gives Stranger Things the True Detective treatment in this atmospheric take on the show's most recognizable face. 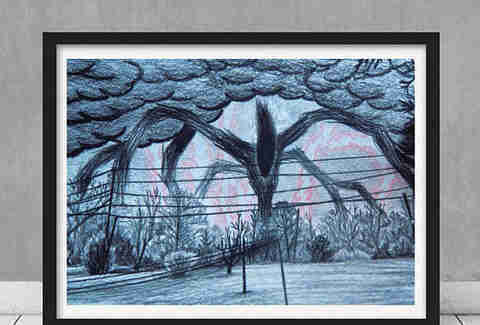 There's nothing more apocalyptic than black and white crayon drawings. What kid does that? Kids inhabited by sentient clouds, that's who. Hang this on your wall and swear to your friends that you drew it in the middle of the night but have no memory of doing so. They say filling in adult coloring books reduces stress. We're not sure if filling in an adult coloring book filled with squinting psychics and manifested monsters does the same trick, but we say, give it a try. There's a popularity threshold for pop culture properties: a true phenomenon, the type of movie or TV show that can be referenced with ubiquity in any type of crowd, can and will be crossbred with every other popular thing under the sun. 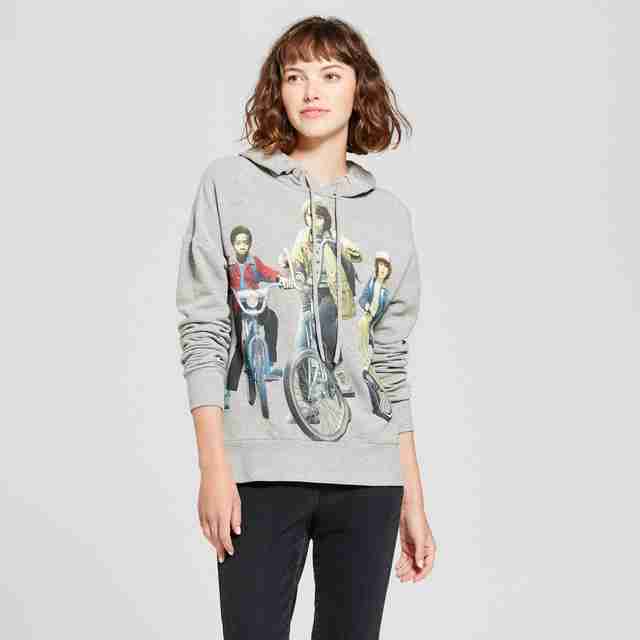 It's call the TeeFury effect, and it's why you can buy a poster of the four main Stranger Things kids posing as the members of musician Damon Albarn and artist Jamie Hewlett's "virtual band." If you like both, why not? 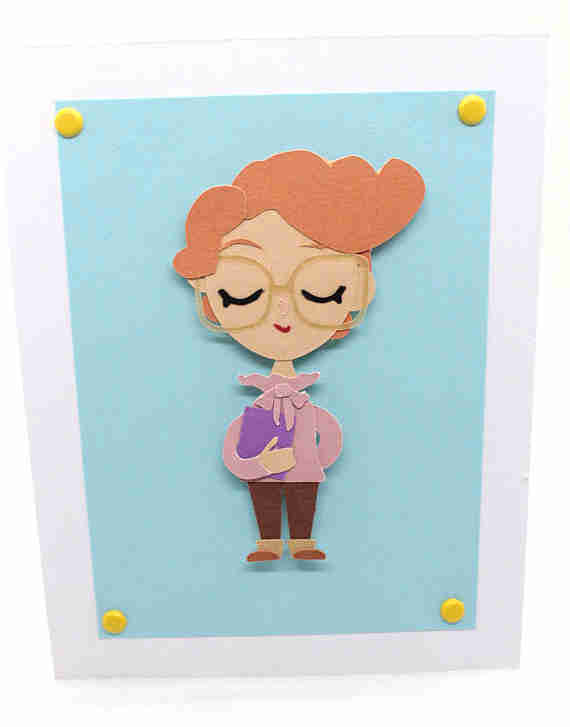 Etsy artist Kristy E. makes an array of gorgeous portraits -- from Wonder Woman to Florence Nightingale to Beyoncé -- entirely out of paper. 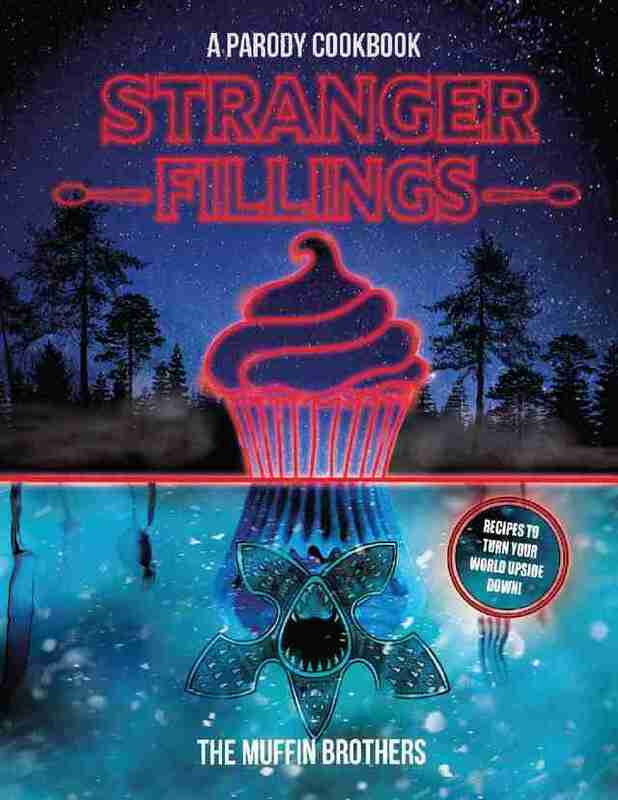 Her Stranger Things edition is really one of two great things to come out of Barb virality (the first is earlier in the list). 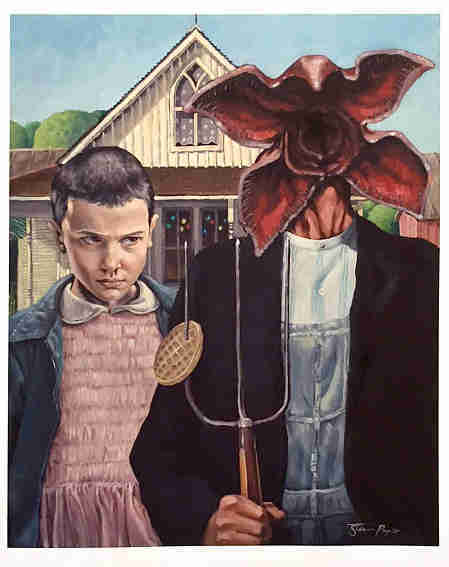 While a straight-up Drew Struzan ripoff can wake even the most cynical inner-child, it's posters like these, from cat-lover/artist "PenelopeLovePrints," that truly stir the imagination. Wielding juxtaposition and watercolors, it's a piece that feels like the curious-but-terrifying world of Steven Spielberg's early work. If this isn't hanging in every dorm room by now, we've really failed Gen Z. 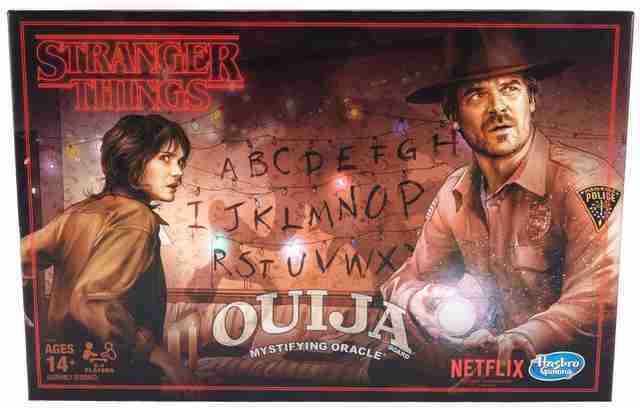 Considering all the paranormal odds and ends stuffed into Stranger Things, it's surprising that the classic communicate-with-the-dead toy, Ouija, has yet to surface (Joyce Byers preferring her DIY Christmas lights version). 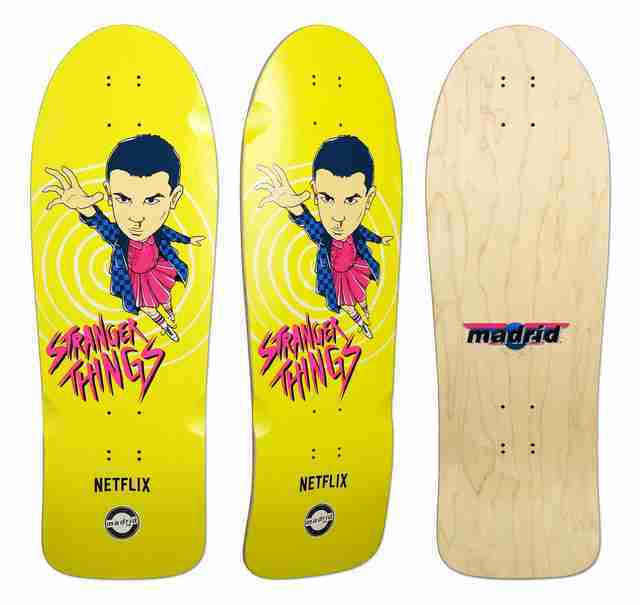 While we wait to see if the Mind Flayer will reach out to Will via "Yes" or "No" responses in Stranger Things 3, practice your own Upside Down seances with Hasbro's official take on the board. 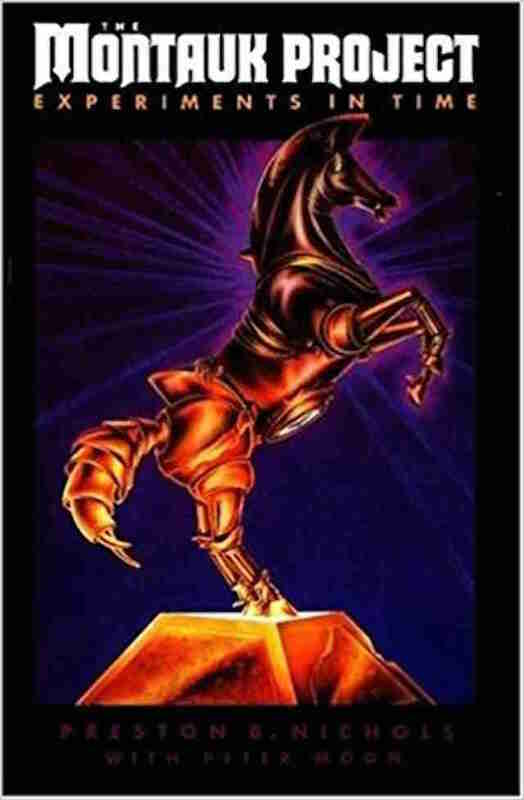 You've seen the kids enter dungeons, encounter monsters, and cast fireballs to save the lives of their metallic avatars. Now it's time for you to understand why true nerds spend their time roleplaying. 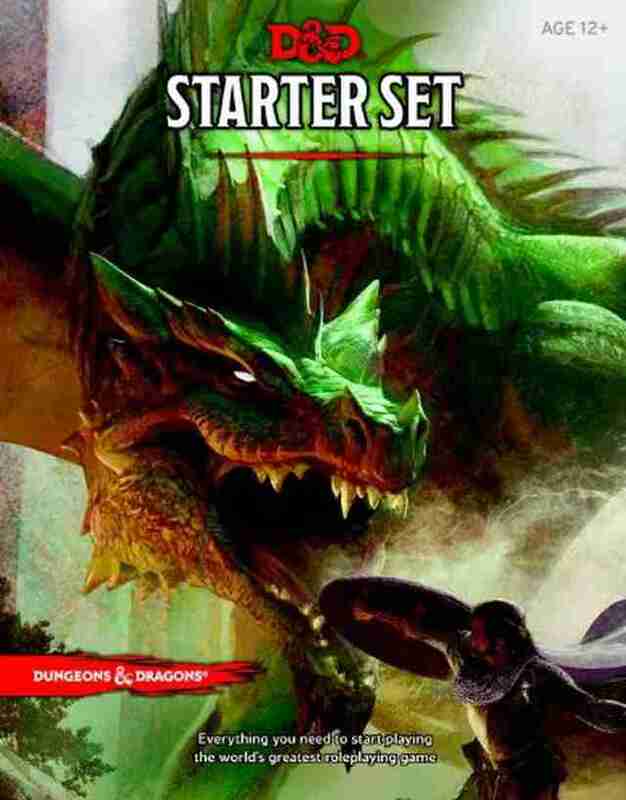 Dive into this beginners set to feel the taste of true power (but roll a d20 for a Strength Check to see if you can handle it). You can ride around on your vintage '80s bicycle or you can fly around town while looking for clues on this sweet, retro skateboard. 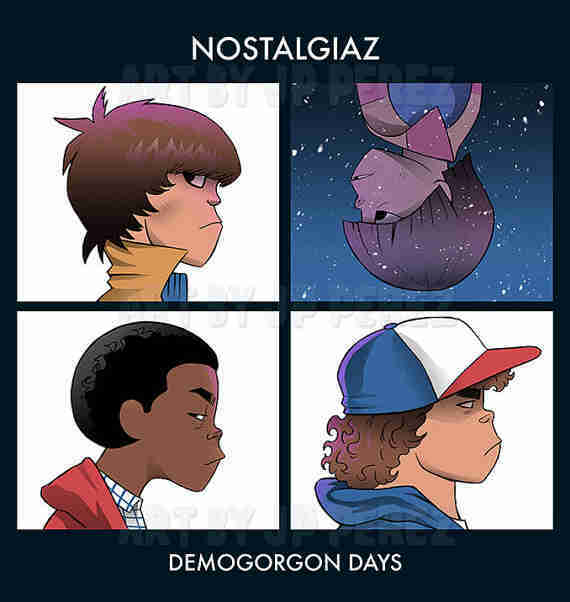 The Eleven illustration gives us a taste of a '90s-era-MTV animated version of Stranger Things that we'll never get. 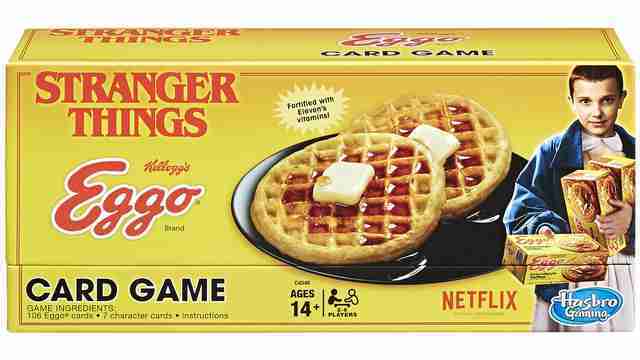 The Eggo card game was not an obvious branding extension for Stranger Things, but it's perhaps the most intriguing tie-in item to come down the pipeline in ages. Here's how the game explains the rules: "To begin, players choose to play as Will, Mike, Lucas, Dustin, Eleven, Hopper, or Barb and draw four Eggo cards with a variety of suspenseful outcomes. Cards can either send a player's character to the Upside Down, make an opponent draw 2, reverse the order of play, summon the Demogorgon, or cause a rift that sends everyone who was Right Side Up to the Upside Down, and vice versa! 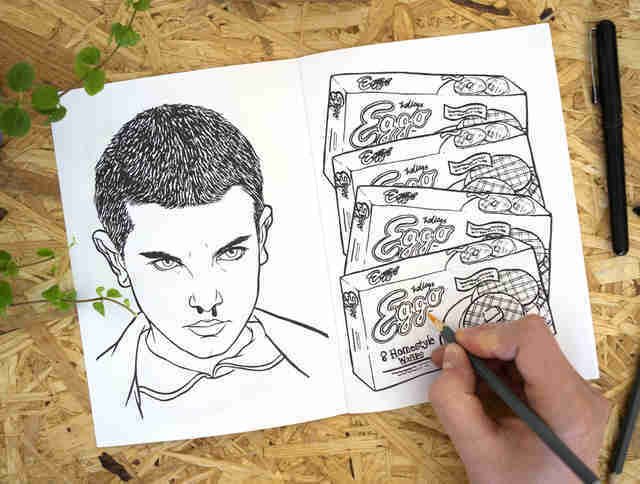 To win and escape the Upside Down, get rid of all your Eggo cards before the Demogorgon attacks — or be toast!" More breakfast-related games, please.